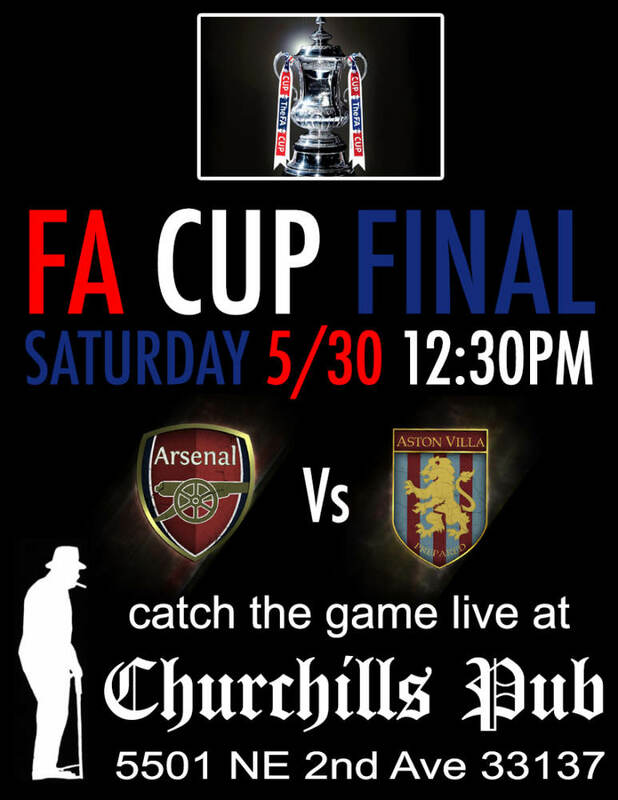 Catch the game live at Churchill's Pub! Saturday at 12:30pm its the FA cup final! Arsenal take on Aston Villa! You don't wanna miss this! Ask about our weekend happy hour.